We’re kicking off a big year in the history of NERW: the spring of 2014 will mark the twentieth anniversary of this column, and we’re planning a big celebration for all our loyal readers. But before we get to the big two-oh, it’s time for our annual review of the year gone by. As we did last year, we’re bringing you Year in Review 2013 in a series of daily installments through New Year’s Eve, which we’ll collect on one page for archival purposes at the start of 2014. In central New Jersey, veteran WCTC (1450 New Brunswick) host Jack Ellery first said he’d pare back his schedule to just a midday show, then retired completely from the station after 63 years on the radio. Cumulus expanded its “Nash” brand to northeastern Pennsylvania, rebranding WSJR (93.7 Dallas/Wilkes-Barre) from “Great Country” to “Nash 93.7,” part of its first round of national “Nash” branding. National morning and night shows followed later in the year at WSJR and other Cumulus country outlets, including New York flagship WNSH (94.7). Down the road at Entercom, WDMT (102.3 Pittston) unveiled its new “Sports Hub” identity, WHBS. There was a call swap at Shamrock’s cluster, too, where WQFM (100.1 Forest City) became WEJL-FM to match its sports sister on AM 630. The venerable WQFM calls, which Shamrock had moved from Milwaukee to Scranton, were parked on the former WBZX (107.1 Hancock NY). 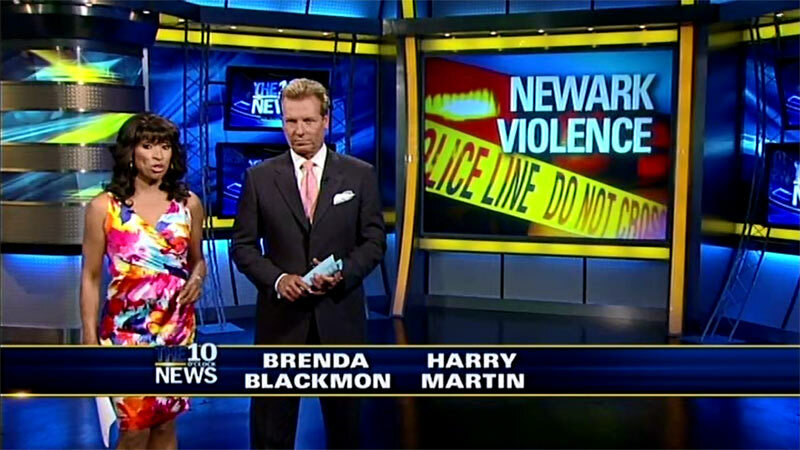 In Philadelphia, the slow demise of Merlin talker WWIQ (106.9) continued with the end of its local morning show, leaving an all-syndicated lineup for the station’s final weeks. In Pittsburgh, the “AM Guys,” led by Ed DeHart and with Clarke Ingram consulting, revived dark WLFP (1550 Braddock), resurrecting the old WZUM calls last heard on Carnegie’s 1590 and installing a fun mix of R&B oldies. Albany’s WDCD (1540), descendant of the old WPTR, slowly revived itself after going dark in 2012. Relaunched with a temporary simulcast of religious WDCD-FM (96.7) to keep the license from cancellation, WDCD(AM) was leased back to former owner Crawford Broadcasting and relaunched in July with a mix of conservative talk and religion, signing off overnight to save money. Ithaca’s ROI Broadcasting fought back against the massive translator/HD cluster at the crosstown Saga stations by putting its own HD-fed format on the air. “Classic Hits 107.7,” W299BI, signed on July 18, fed by the HD3 on WFIZ (95.5 Odessa). The other full-power signal licensed to Odessa, Ithaca Community Radio’s WINO (89.9), became a simulcast of Binghamton public broadcaster WSKG (89.3), leaving ICR on WRFI (91.9 Watkins Glen) and its powerful Ithaca translator at 88.1. In Buffalo, the FCC busted a pirate that wasn’t: the signal at 89.7 coming from the old Channel 7 building on Main Street belonged to the licensee of WFWO (89.7 Medina), but the station was 35 miles away from the location it had licensed and apparently never built out at its proper spot. In Canada, Rogers began rebranding its country stations, flipping CIKZ (106.7) in Kitchener-Waterloo from “Kix” to “Country 106.7” and then repeating the flip in North Bay, Kingston and elsewhere. The former Martha’s Vineyard callsign, WMVY, resurfaced in the Upper Valley, where it was parked on the former WMXR (104.3 Hartford VT), itself silent awaiting new ownership and a move to the Burlington market. The internal turmoil at WEEI continued with the dismissal of Jason Wolfe, the station’s longtime PD, and the announcement that Entercom wouldn’t bid on a renewal of the Boston Celtics radio rights, leaving WEEI with no professional winter sports play-by-play. And while talker WRKO (680) down the hall enjoyed the bump that followed the disappearance of talk competitors WTKK and WXKS, it took on a new online challenger in the form of “Boston Herald Radio,” which launched August 5 with a conservative lineup that included former WXKS morning man Jeff Katz. Over at Emerson College, the times were a-changin’ at WERS (88.9), which set the market talking when it hired its first professional announcer, former WBOS jock George Knight, to co-host morning drive with students. WERS then cancelled two of its longest-running music shows, the reggae show “Rockers” and the rap show “88.9@Night,” focusing more on its AAA-heavy daytime format. Radio People on the Move: notable retirements in August included WEBE (107.9 Fairfield CT) morning man Storm N Norman, replaced by the versatile Robbie Bridges; longtime WHP (580 Harrisburg PA) afternoon talker Bob Durgin, replaced by former rock jock Ken Matthews; and Robin Ivy, the last of the original jock crew at WCYY (94.3 Biddeford) up in Maine. In Providence, the arrival of WPRO veteran Ron St. Pierre at crosstown WHJJ (920) meant the departure of another veteran talk show host there, former “Survivor” contestant Helen Glover. On Long Island, WLIR (107.1 Hampton Bays) traded its religious format for sports as “Champions Radio,” returning to a partial simulcast with WEPN-FM (98.7) in New York. Another new simulcast found the latest incarnation of classical WQXR (105.9 Newark NJ) augmenting its weak signal to the north by way of WQXW (90.3 Ossining), the former WDFH. At troubled WBAI (99.5), more staffers were cut loose as Pacifica tried to balance its budget, leaving only the barest minimum of paid staff trying to keep the station afloat. Binghamton’s Equinox Broadcasting completed the move of “Cool” oldies to 106.7 by moving the WCDW calls to the former WRRQ on that Ingraham Hill signal; WCDW’s original home at the Susquehanna, PA-licensed 100.5 became modern rock WDRE, taking the “Drive” format Equinox had been running on HD-fed translators in the market. Up the road in Ithaca, another HD-fed satellite format, Saga’s AAA “Vine,” migrated from 98.7 to a new higher-powered translator at 96.7. In Canada, the format wheel was spinning hot and heavy in New Brunswick and Nova Scotia. 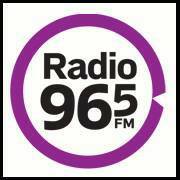 In Saint John, New Brunswick, MBS shuffled two stations’ formats at once, as CJYC (98.9) flipped from classic rock “Big John FM” to classic hits “Kool 98″ and CFBC (930) dropped its oldies/classic hits mixture in favo(u)r of a country format. Across the Bay of Fundy in Amherst, Nova Scotia, country was the new format of choice later that day at CKDH (101.7), which abandoned the adult contemporary format it had moved over from AM 900 back in 2011 to become a country station. New to the air: Codcomm’s second new offering for the year, standards/soft AC “Coffee” WKFY (98.7 East Harwich) on August 19, Pittsburgh Public Media’s jazz WYZR (88.1 Bethany WV), the former WVBC, at 1:15 PM on August 31. A slow month for format changes was heavy on sports: in Buffalo, Entercom dropped the progressive talk format it had been using as a flanker on WWKB (1520), instead turning the once-dominant 50 kW signal to a fulltime ESPN Radio feed to complement its mostly-local WGR (550). My Broadcasting took control of CJMB (90.5 Peterborough) ahead of an impending sale, flipping that small station from religious to a talk/sports hybrid as “Extra talkSPORTS.” In the Rochester suburbs, WASB (1590) split from a long-running simulcast with WRSB (1310) to pick up CBS Sports Radio, which itself later ended up simulcast on WRSB. Up in Bangor, Blueberry pulled the plug on WAEI (910), the former WABI, and with no buyers immediately in evidence for one of the state’s oldest stations, it appears 910 may be gone for good and its Brewer transmitter site poised for redevelopment. 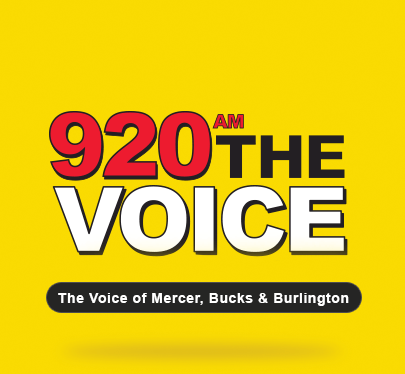 In central Pennsylvania, the bankruptcy of WHYL (960 Carlisle) left “Nice 960” running largely on automation and its longtime morning host Ben Barber off the air. In Corry, WHYP (1370) returned to its heritage calls, WWCB. In Boston, it was veteran programmer Greg Strassell making a splash, moving from a VP chair at CBS Radio over to a similar position with Clear Channel. Back in Buffalo and adjoining parts of Canada, Vista shook things up in Niagara Falls with a September 20 flip that combined the former top-40 “Z101” (CFLZ 101.1) and adult hits “Ed FM” (CJED 105.1) into a simulcast top-40 station called “2Day FM.” Then on September 25, Entercom abruptly pulled the plug on its FM simulcast of news-talk WBEN (930), relaunching rimshot WLKK (107.7 Wethersfield) with “Alternative Buffalo.” And just up the AM dial, WUFO (1080) left its longtime home on LaSalle Avenue for a new studio downtown and a temporary shared transmitter site with WECK (1230 Cheektowaga). Another upstate shift came on September 29, when public radio WEOS (89.7 Geneva) moved one notch down the dial to a stronger signal at 89.5. Gone: WEEW (89.1 Westhampton), deleted just after being donated to a new owner; WDDY (1460 Albany), temporarily silenced while Radio Disney put the station up for sale. New: WANR (88.5 Brewster), the Danbury-area link in the ever-growing public radio network based at WAMC in Albany; CIMA (92.1 Alliston ON), testing as the newest link in the “My FM” chain. Away from the FCC, WBZ (1030)’s overnight slot was once again in the headlines as new host Jen Brien was cut loose after just a few months on the job, plagued by absences and inconsistent programs. Other New England radio people moving on included Bev Tilden; the former Entercom manager took a new job at the helm of Cape Cod Broadcasting’s cluster. In Connecticut, Jerry Kristafer exited WDRC-FM (102.9) after a long run on the air in Hartford. In Syracuse, Craig Fox pulled one of the earliest Christmas flips of the season, turning religious “Love FM” WVOA (103.9 Mexico) into “Holly FM” under new calls WNDR. 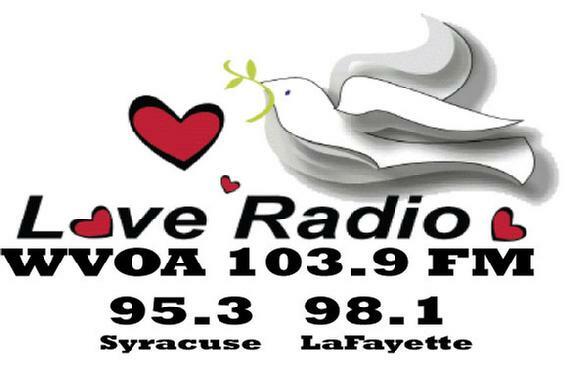 The WVOA calls and “Love” format moved to the audio of channel 6, Fox’s Syracuse LPTV, formerly WMBO-LP, and the WMBO calls came back to Fox’s AM 1340 in Auburn, formerly WWFX. Down the road in Elmira, Backyard’s WPGI (100.9) segued from “Big Pig” to “Wolf” under its new owners, but remained country. Country grew in Albany, as Pamal moved “The Cat” from WZMR (104.9) to the bigger signal of WKLI (100.9), killing off the rock format that had been running there. Elsewhere in upstate New York, WABH (1380 Bath) and WELM (1410 Elmira) moved from ESPN Radio to NBC Sports Radio, while Family Radio’s WFRW (88.1 Webster) changed hands to become WKEL, a second K-Love outlet for the east side of Rochester. In New York, the next chapter in the WBAI saga found Pacifica’s national leadership putting out a call for broadcasters willing to take over operation of the station under a “Public Service Operating Agreement” with rather onerous terms; at year’s end, Pacifica hadn’t signed on with any prospective new operators. Back in the New York market, WNSW (1430 Newark) dropped Voice of Russia programming to carry Radio Cantico Nuevo’s Spanish religion. On the AM dial in New England, Alex Langer completed his move of WMSX (1410) from Brockton to a new transmitter site in Readville, within Boston city limits. The Dedham-licensed signal, testing with a jazz format, changed its calls to WZBR. Up the Seacoast, Clear Channel flipped WMYF (1380 Portsmouth NH) from “Sports Animal” to standards, breaking a simulcast with WPKX (930 Rochester), which retained Fox Sports. In Canada, CTV rebranded “Team 1200” (CFGO Ottawa) as “TSN Radio 1200,” tying it closer to its sister all-sports TV network. And in one of the year’s oddest stories, veteran New York jock Dave Herman found himself in deep legal trouble after being arrested on charges of attempted sexual abuse of a child. At year’s end, Herman remained behind bars, awaiting trial and maintaining his innocence. New to the air: CHRC (92.5 Clarence-Rockland), part of Evanov’s “Jewel” network serving an area east of Ottawa. Delayed a bit by the FCC shutdown, the low-power FM window finally opened, and by the time it closed it had drawn fewer applications than many expected, though it still left many potential LPFM operators in competition for a limited number of available channels in many urban areas. Boston broadcasters celebrated a worst-to-first Red Sox championship and the recovery of a city still shaken by the Marathon bombings. While the Series win was the radio property of WEEI (which received special dispensation from ESPN to carry the local call on AM 850 as well as FM 93.7), the parade belonged to every TV station in town, all of them offering wall-to-wall coverage as the duck boats moved through town. In Pittsburgh, Clear Channel couldn’t reach a deal on a new contract with WPGB (104.7) morning hosts Jim Quinn and Rose Tennent, abruptly pulling them off the air there and at several syndicated affiliates. In Pittsburgh, WPGB filled the wakeup slot with “Bloomdaddy” from sister station WWVA (1170) in Wheeling, West Virginia. Elsewhere in the news-talk arena, Connoisseur launched a new talker in Trenton by flipping WCHR (920) from religion to “The Voice” as WNJE; the former WNJE (1040 Flemington) kept religion and took the WCHR calls for a second time. In Buffalo, WBEN (930) experimented with live, local talk late at night with David Bellavia, but cancelled the show after just a few weeks when it posed a conflict with Bellavia’s day job. In Boston, Christopher Lydon returned to the public radio airwaves with a regular weekly slot on WBUR-FM (90.9), and in Ottawa, Rogers flipped CIWW (1310) from all-news to a news/talk/sports hybrid, picking up content from Toronto sports sister station CJCL (Sportsnet 590) at night. In Utica, veteran morning man Matt Herkimer was abruptly dropped from “Big Frog” WFRG (104.3), only to appear again a few weeks later across town at “Bug Country” WBGK (99.7)/WBUG-FM (101.1). On TV, Family Stations’ WFME-TV (Channel 66) at the edge of the New York City market changed calls to WNYJ and began carrying international programming from MHz Networks. New to the air: Philadelphia-market KJWP (Channel 2), which began testing early November and signed on for good from Roxborough’s tower farm on November 18 with MeTV programming; WFBA (90.5 Kulpmont PA); CFMS (105.9 Scarborough ON), displacing low-power CJVF from the frequency and leaving that station silent while applying for a new channel. Silent: WPLB (100.7 Plattsburgh West NY), which signed off as “B100.7” and is awaiting new ownership. The final month of 2013 brought some expected developments, such as John R. Gambling’s last “Rambling With Gambling” show, ending an 88-year legacy as WOR (710) began its new Clear Channel phase of existence – and some surprises, including the choice of Washington FM morning man Elliot Segal as WOR’s new morning host beginning in January. Another surprise came from Philadelphia, where Jerry Lee’s diligent market research led the independent owner to rebrand his top-rated “B101” (WBEB) as “More FM” in search of a younger audience. Other post-Christmas flips included the launch of “LI News Radio” in place of rock on JVC’s WRCN (103.9) and a Glens Falls frequency swap that sent “Froggy” WFFG-FM from 107.1 to 100.3 and “Point” WKBE from 100.3 to 107.1. In Rhode Island, WPRO (630) faced a barrage of criticism from union groups, Democratic politicians and even a few Republicans after outspoken talk host John DePetro unleashed a series of insults on union protesters. With many of the state’s top politicos publicly vowing to refuse to appear on WPRO, what started as a DePetro “vacation” turned into a longer suspension that was still ongoing at the end of December. In Scranton, Jim Rising went back to Shamrock to program WEZX (Rock 107), the latest stop on a career that had included a previous stop at Shamrock as well as a long stint at Entercom’s WKRZ and WDMT. At the far ends of the AM dial, New York’s WWRL (1600) announced plans to drop progressive talk in favor of Spanish-language programming at the end of the year. In Hope Valley, Rhode Island, John Fuller put “Kool” oldies on WSKP (1180), replacing a classical simulcast the station had been running as WCRI. Canada’s regulators allowed another broadcaster to experiment with HD Radio: ethnic CJSA (101.3 Toronto) added additional streams of Asian programming to its main-channel lineup early in December. And the year closed out with budget-driven personnel cuts at several CBS outlets, with the ax falling especially hard in Pittsburgh, where “New York Vinnie” Richichi was one of several sports talkers ousted at KDKA-FM (93.7 the Fan). New to the air: CFHD-DT (Channel 47) in Montreal, with “Ici” multilingual programming. Deleted: WTTT (98.7 Stratford NH), which had operated only briefly in 2011. We’ll remember those we lost in radio and television in 2013 in our next Year in Review installment, coming Saturday morning right here on fybush.com! It’s become a legendary part of the broadcast landscape, found on the finest transmitter-site walls and in engineering offices from coast to coast and around the world. 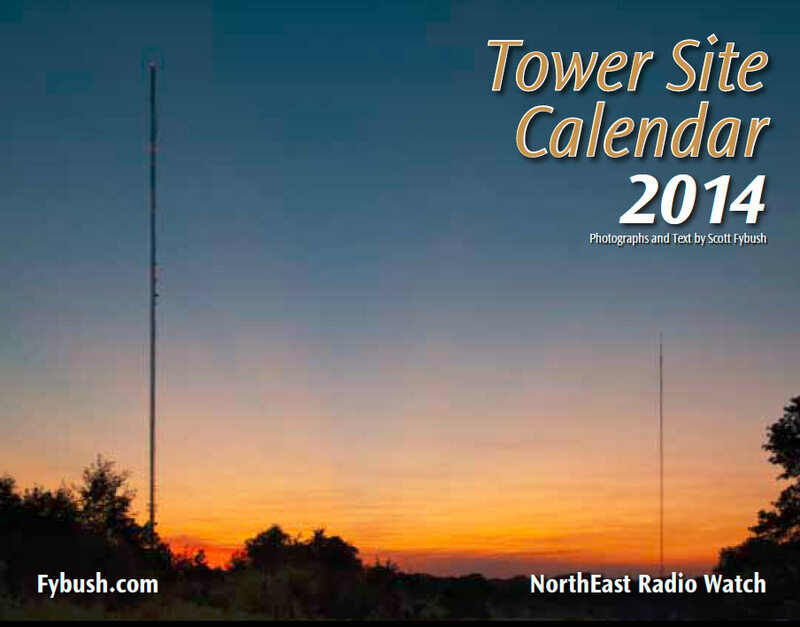 The 2014 Tower Site Calendar is ready to send for YOU (or someone else), spiral bound, shrink wrapped and best of all, with a convenient hole for hanging!